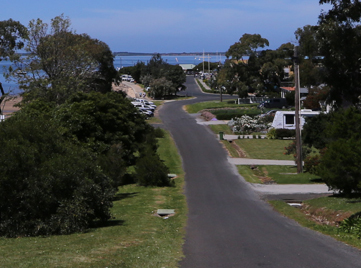 We at Rhyll take great comfort from the fact that millions of people who visit Phillip Island each year actually bypass our little village in favour of direct routes to the island's big-ticket drawcards... the penguin and koala nature parks, the motor racing circuit and the bustling tourist town of Cowes. That's why we're happy to call Rhyll the island's slow lane. It's fair to say that most people, even Victorians, have never even heard of Rhyll and if they have, they struggle to pronounce its name. So right at the outset, let's be clear that it's pronounced RIL as in HILL... which is exactly where you'll find us at Rhyll Haven, on the hill at Rhyll. And for those who are familiar with Rhyl in Northern Wales, we can assure you that the antipodean extra 'L' makes a world of difference. 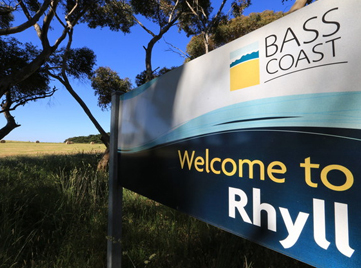 Blessed with a low profile, Rhyll has quietly remained one of Phillip Island's hidden delights... a tiny, tidal village on the edge of Westernport Bay with near and far views across the shimmering water to Churchill Island, just a stone's throw away and the distant Bass Coast hills.